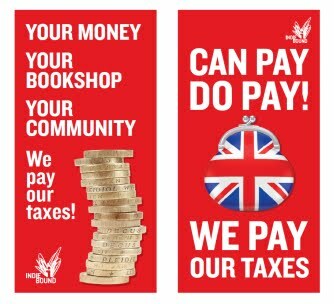 I hope that many of my customers will be able to transfer their allegiance to the Woodstock Bookshop, or to Jaffe and Neale in Chipping Norton. If a new bookshop opens in Charlbury that will be even better. This website has a lot of useful information, and links to books of local interest and to other websites. Amazon, Google and Starbucks were grilled in November by the House of Commons Public Accounts Committee. There is more on how tax avoidance has always been part of Amazon's strategy here. On November 14 2012 the Daily Mail reported that France has sent Amazon a £159m tax claim, and that many other countries are pursuing it for unpaid tax. Andy Street, Managing Director of John Lewis, says Amazon will “out-invest” and “out-trade” UK companies if the Government does not take action to force the online retailer to pay tax fairly in Britain. (Report here.) Dixons chief Sebastian James agrees. Amazon has been forced by parliament to reveal its corporate structure and UK turnover. Nicholas Clee has estimated book sales to be just 19% of its UK business. Is a boycott the way forward? Margaret Hodge and Jeff Jarvis debate the rights and wrongs of the revelation that Google, Starbucks and Amazon pay so little tax in the UK. Amazon is expanding its publishing programme as it attempts to become the world's publisher as well as the world's bookseller. The Advertising Standards Authority has stopped Amazon from advertising 'Amazon Prime' as 'free'. 'Free delivery' costs £49 a year. Reuters has done some research which shows how Amazon has evolved its strategy over the years, bringing profits made in other countries back to the US to offset against enormous losses there. It provides a fascinating and detailed analysis of just how Amazon makes (and loses) its money and avoids paying taxes. Amazon had a record turnover in the last quarter of 2012, pushing HMV, Jessops and Blockbuster into liquidation. Amazon uses various tactics to beat publishers' prices down. These include marking a publisher's books as unavailable if it refuses to agree to Amazon's terms. In effect, and uniquely, Amazon's terms of supply are fixed by Amazon, not by the publisher. If (as a publisher) I sell a book to a bookseller, I decide the discount. If (as a bookseller) I buy a book from a publisher, it is the publisher who decides my terms. Another way of getting people to buy from you is to create an ethos where everyone BELIEVES you are cheapest, even if you aren't. A recent survey has shown that while Amazon's 'top 20' book prices are cheapest, go further down the list (and there are several million more you might want to choose from) and they are typically 14% MORE expensive than a panel of other online booksellers including WHSmith and Blackwells. << Please use the links on the left to find your way around. There is lots of historical material on this site. Under 'Local history and visitor information' you will find a brief biography of Nancy Tree. Ronald and Nancy Tree bought Ditchley in 1933 and the house was used by Churchill during the second world war as a safer alternative to Chequers. We now have the complete text of Jesse Clifford's My Reminiscences of Charlbury, written in 1892, complete with notes on his family by Jesse's great great nephew Geoff, who lives in Charlbury today. You'll find it here under 'Local history and visitor information'. You'll also find a page about our books by Dorothy Calcutt under "Books of local interest". Dorothy is one of the most lucid and articulate observers of the changes that took place in the towns and villages of this area in the last century. We're proud to have published four books by her. Other recent new pages include "Grow Your Own Cows" and "The Wine Tipster": click on the links in the sidebar. There is a page devoted to books by local poets. "More books about West Oxfordshire and the Cotswolds" features an ever-growing number of books by various publishers. We are always adding to the pages devoted to local books. 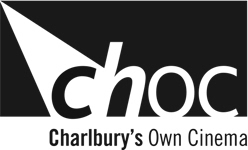 For instance, we now offer free downloads of chapters from A History of Charlbury and Wychwood and Cornbury. Click on the pages for those books. If you are new to Charlbury or are planning a visit, some of the information under "Visitor information" will help you. The Oxford Mail once published a feature on the bookshop. I believe in making information AVAILABLE. Having a page on Jesse Clifford means that his descendants and relatives in any country can easily find out about him, and learn what further information about the Cliffords is recorded on gravestones in the churchyard. The page devoted to the books by Dorothy Calcutt gives her an international presence she didn't have before, complete with photographs, and she deserves it. In 1977 four elderly Charlbury residents (Reg Smith, Sidney Price, Walter Busby and Fred Thornett) were interviewed on tape, talking about their lives in the town and including vivid memories of nineteenth- and early twentieth-century Charlbury. During the interviews they talked about old photographs from the museum's collection, describing the people and buildings in them, or talking about the events shown in the pictures. The interviews, together with the photographs, have been skillfully edited onto a DVD produced by Charlbury Museum. It lasts about 50 minutes and is in three sections: the lives of the interviewees; places; and events. It makes compelling viewing for newcomers and established families alike, and costs only £7.50. If you have friends or family who have moved away from the town, this is a perfect gift to bring back old times (and beyond). Equally, if you want to learn a great deal more about the town's history over the last hundred years and more, buy one for yourself. Information about the museum and their publications is here.